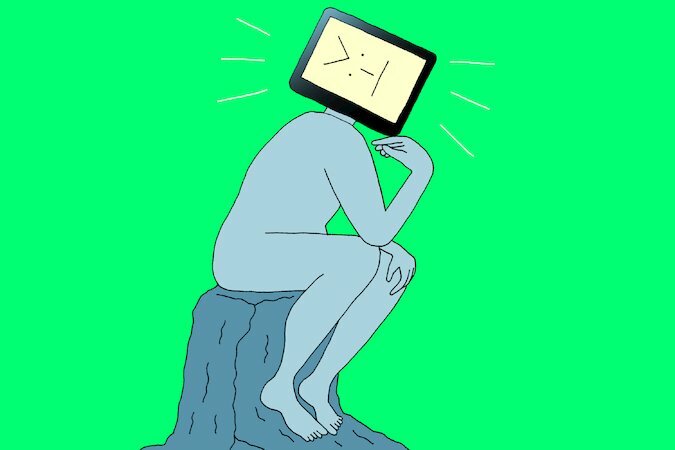 If Algorithms Know All, How Much Should Humans Help? Armies of the finest minds in computer science have dedicated themselves to improving the odds of making a sale. The Internet-era abundance of data and clever software has opened the door to tailored marketing, targeted advertising and personalized product recommendations. Shake your head if you like, but that’s no small thing. Just look at the technology-driven shake-up in the advertising, media and retail industries. But the stakes are rising as the methods and mind-set of data science spread across the economy and society. Big companies and start-ups are beginning to use the technology in decisions like medical diagnosis, crime prevention and loan approvals. The application of data science to such fields raises questions of when close human supervision of an algorithm’s results is needed. Take consumer lending, a market with several big data start-ups. Its methods amount to a digital-age twist on the most basic tenet of banking: Know your customer. By harvesting data sources like social network connections, or even by looking at how an applicant fills out online forms, the new data lenders say they can know borrowers as never before, and more accurately predict whether they will repay than they could have by simply looking at a person’s credit history. The promise is more efficient loan underwriting and pricing, saving millions of people billions of dollars. But big data lending depends on software algorithms poring through mountains of data, learning as they go. It is a highly complex, automated system — and even enthusiasts have qualms. The concern is similar in other fields. Since its Watson computer beat human “Jeopardy” champions four years ago, IBM has taken its data-driven artificial intelligence technology well beyond brainy games. Health care has been a major initiative. The history of “expert” decision-support technology in medicine has been disappointing; the systems have not been smart or fast enough to really help doctors in day-to-day practice. But IBM scientists in collaboration with researchers at leading medical groups — including the Cleveland Clinic, the Mayo Clinic and the Memorial Sloan Kettering Cancer Center — are making progress. Watson can read through medical documents at a pace incomprehensible to humans: many thousands per second, searching for clues, correlations and insights. The software has been used to help train medical students and is starting to be deployed in clinical settings in oncology, offering diagnostic and treatment recommendations as a kind of quick-witted digital assistant. IBM has also developed a software program called Watson Paths, which is a visual tool that allows a doctor to see the underlying evidence and inference paths Watson took in making a recommendation. “It’s not sufficient to give a black-box answer,” said Eric Brown, IBM’s director of Watson technologies. Keeping a human in the loop is one approach. The new data-science lenders are animated by data and software. But one of the start-ups in San Francisco, Earnest, has at least one of its staff members review the predictive recommendations of its software, even if the algorithms are rarely overruled. “We think the human element will always be an important piece in our process to make sure we’re getting it right,” said Louis Beryl, co-founder and chief executive of Earnest. But such a stance, others say, amounts to a comforting illusion — good marketing perhaps, but not necessarily good data science. Giving a person veto power in algorithmic systems, they say, introduces human bias. The promise of big data decision-making, after all, is that decisions based on data and analysis — more science, less gut feel and rule of thumb — will yield better outcomes. Yet even if optimism is justified, there is a serious challenge, given the complexity and opacity of data science. Will a technology that promises large benefits on average sufficiently protect the individual from a mysterious and wayward decision that might have a lasting effect on a person’s life? One solution, according to Gary King, director of Harvard’s Institute for Quantitative Social Science, may be for the human creators of the scoring algorithms to tweak them not so much for maximum efficiency or profit but to give somewhat greater weight to the individual, reducing the risk of getting it wrong. In banking, for example, an algorithm might be tuned to reduce the probability of misclassifying a loan applicant as a deadbeat, even if the trade-off is a few more delinquent loans for the lender. In a sense, a math model is the equivalent of a metaphor, a descriptive simplification. It usefully distills, but it also somewhat distorts. So at times, a human helper can provide that dose of nuanced data that escapes the algorithmic automaton. “Often, the two can be way better than the algorithm alone,” Mr. King said.